If you have a website, you’re hopefully aware of the free Page Speed Tool offered by Google to help site owners optimise their websites for better loading speeds. It provides feedback and recommendations on everything from optimising images, to minifying CSS and HTML. We provided an overview of the Google Page Speed tool back in July 2013, though the tool has evolved since then, both in how it looks and how it reports its feedback. 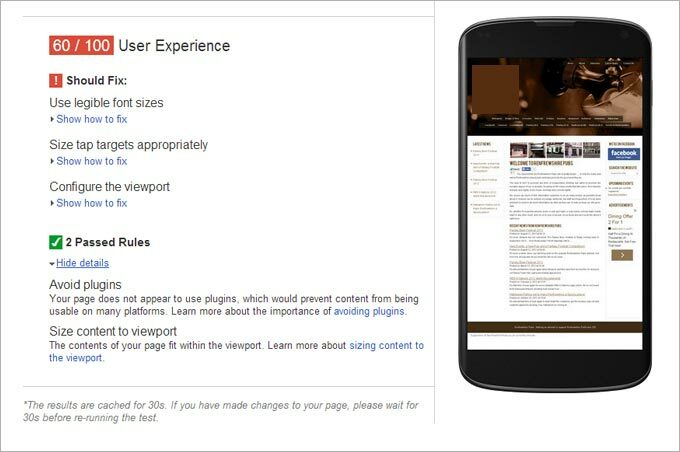 The most recent upgrade to the tool has just been announced by Google, with additional feedback now available on some Usability aspects of mobile websites. If you’ve optimised for mobile, you should score quite high, though you might still find a suggestion or two for further improvement (we found a useful suggestion for the Aillum mobile site!). If you haven’t optimised for mobile, you’re about to get some extra feedback.